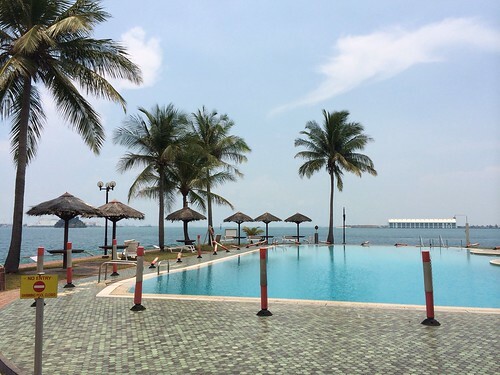 Singapore is not just one "sunny island, set in the sea", but an archipelago of more than 70 islands. For centuries, these islands have been important landmarks for sailors, and also home to different communities who lived off their waters. After Singapore gained independence, however, the islands were transformed dramatically and nearly all their inhabitants resettled on the mainland. 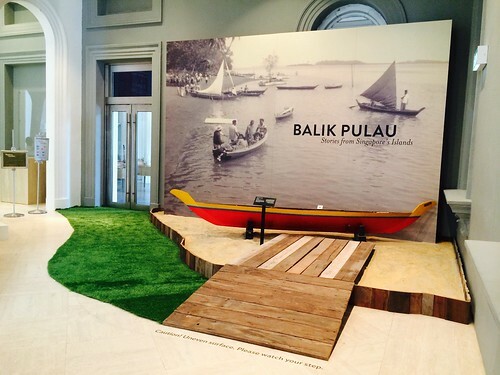 This exhibition, Balik Pulau, is a return to the islands, in memory and spirit, to recover the stories of those who lived, worked and played there. 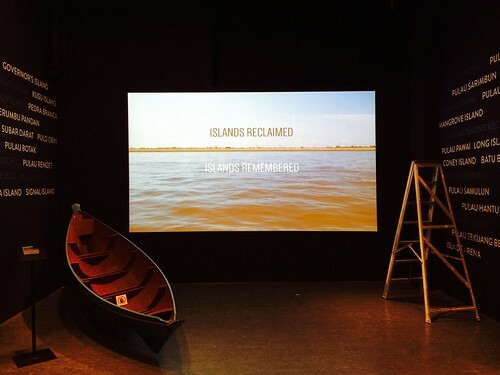 With new video interviews, archival images, historic boats, personal mementoes and specimens of marine life, the exhibition charts the changes that have taken place and how a new generation is rediscovering our islands and forging new links to them. Come and explore Singapore's offshore islands anew, and be inspired to even visit these places yourself. From the start, people who heard about the project were always excited because the story of the islands is one of those aspects of Singapore history that are somewhat forgotten in plain sight. The islands are right there, if you know where to look, but in everyday conversation we're more likely to mention Singapore as an "island-city-state" (singular island, please, because that's what keeps the ruling government's siege-mentality narrative in place). Singapura Stories held a fantastic seminar at the National Library on 17 May, "Kampong Histories of the Southern Islands". The speakers were Normala Manap, Ivan Kwek, Suriana Suratman and Imran bin Tajudeen. We've referred to the former two scholars' work in exhibition research on Pulau Seking, and it was great to hear the others too. As part of the Singapore HeritageFest, NUS Museum and artist Charles Lim will be staging a follow-up to their excellent exhibition "In Search of Raffles's Light". The recently-concluded exhibition (it ran 24 October 2013 - 27 April 2014) took as its starting point Raffles Lighthouse on Pulau Satumu. I can't remember ever hearing so much buzz about the islands. For our show, the museum's exhibitions setup teams have been hard at work for the past two weeks, getting everything ready. They delicately suspended fibreglass specimens of marine animals from the ceiling, hoisted seaworthy koleh and jongkong (traditional boats) into position, got all the audio and video productions playing like they're supposed to, and made sure every last blade of (artificial) grass and every grain of (artificial) sand was in place. It's been really exciting to see everything coming together, and I can't wait to see what visitors make of it. There's no opening event today. The doors are simply unlocked at 10 a.m. and admission is free (kinda like how the islands used to be, heh). We'll be organising some talks and related activities in conjunction with the Singapore HeritageFest in July, but I suggest you see the exhibition first. So if you've ever been curious about the names of all the damn islands that make up Singapore, or wondered what it was like to live on an island as recently as in 1994 (when the last villagers in the southern islands were evicted resettled), or want to see what kind of life --- human and non-human --- still thrives on our islands, please come and see Balik Pulau. The islands have been waiting long enough for their day in the sun. i wish i could go! it looks very interesting. and i love the opening tableau. Thank you! Pictures don't really do it justice, but I'll post more on Flickr anyway when I get the chance to take proper pix. I know where I'm visiting tomorrow!